Cosmo Wright, the current record holder for the fastest Ocarina of Time speedrun has decided to commentate and explain his run. 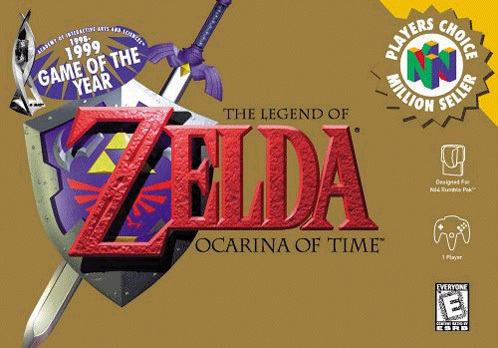 He set this world record just a couple weeks ago live on Twitch and his speedrun clocked in at 18 minutes and 10 seconds from start to finish of Ocarina of Time only making one mistake that cost him 4 seconds. Throughout this commentary Wright explains the big glitches in it, the breakthroughs discovered for it and the history of how this run developed and came to be. The history that he explains will blow your mind and give you a completely different outlook on what "dedication" means in the gaming world. He will also explain his personal tactics and why he did certain things throughout the run to make it even faster. The video and commentary can be watched below. You will notice in the video that he skips most of the game as this was a "any%" completion, which means as long as he beats the game it counts no matter the % of game completed. With this most of the game was skipped and I won't spoil anything else for you, just know that if you're expecting to see every single dungeon ran through you will be disappointed. Personally I watched the entire video and listened to the commentary and was blown away by how much information and work went into making this run possible. The video is full of information that will intrigue just about anyone and is well worth watching if you have an extra 25 minutes sitting around. Hell even if you just have it on in the background while you browse se7ensins you will learn about how glitches in games are found and how much work these guys put into making these things possible. I never thought that this much work could go into making a speedrun possible but I was proven wrong. Once again I highly recommend taking the time to watch and/or listen to this video as it really is something interesting. @ writers I know that this isn't your typical article, but I felt like trying to bring something different to the homepage and give it a little variety.